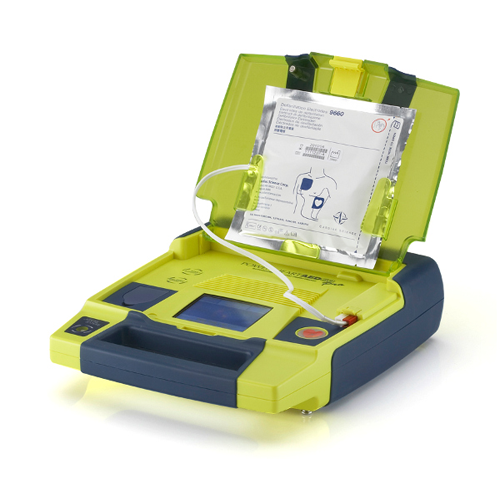 In addition to meeting the more sophisticated requirements of medical and rescue professionals, the G3 Pro shares the same groundbreaking rescue options, programmable functions, and advanced monitoring capabilities of our flagship, feature-rich Powerheart AED. Intuitive and comprehensive voice prompts guide user through rescue. Patented RescueReady® technology includes daily, weekly, and monthly self-tests of battery, internal electronics, software, and pads, which assures first time, every time shock delivery. Configurable biphasic energy protocols and detection rates. Optional 3 lead continuous ECG patient monitoring.